A Rare Find! 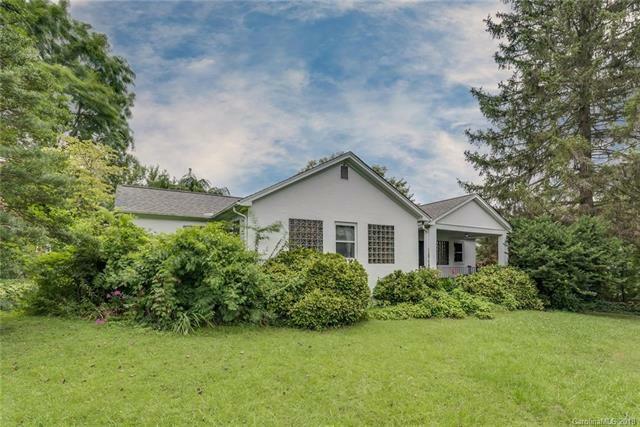 Historic home in the desirable Hendersonville West side. John S. Forrest home, CA 1920, named after its builder, who enjoyed a reputation for being ahead of his time. Updated and modernized without losing the original charm and architectural details: cathedral ceiling in the great rm, original fireplace with marble surround, original hardwood flrs, attractive cross gable roof design. 3 brs are spacious, with lg closets and baths, glass blocks, which were new but popular when this home was built, are utilized in some windows. Gracious front porch with slate flr, private back deck overlooks the grounds. Attached but exterior 242 ft storage rm and 1800 sqft bsmnt is also usable space-currently used as a fourth br. The courthouse records indicate home as built in 1920, but the West Side Historic District lists this contributing home as being built in 1945. A list of recent upgrades and maintenance are available such as recent HVAC, plumbing, electrical and radon mitigation.